Y’all, I’ve been having a hard time getting my brain (and my schedule) on back-to-school mode. I feel like I struggle with that balance of coming up with new or different lunch ideas and also figuring out what is for dinner every night. 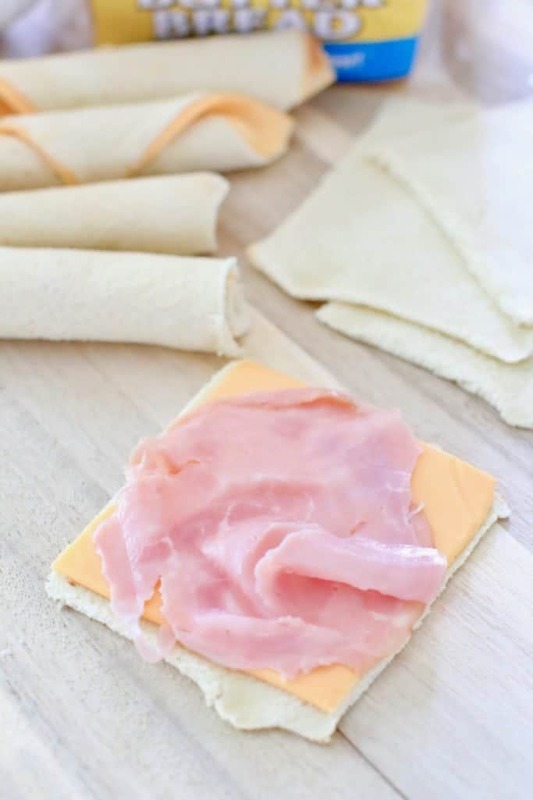 Also, I have major Instagram envy of the Moms and Dads who can manage to make those cute little bento-style lunches where they cut out hippos and Harry Potter out of cheese slices. I’ve never been able to do that. And honestly, I don’t think I have the patience. But hey, power to the parents who can and do. So, in my quest to try to keep lunchtime delicious, nutritious and not the same ole thing everyday, I started thinking about yummy fall and winter lunch ideas. We are major grilled cheese sandwich and tomato soup eaters. 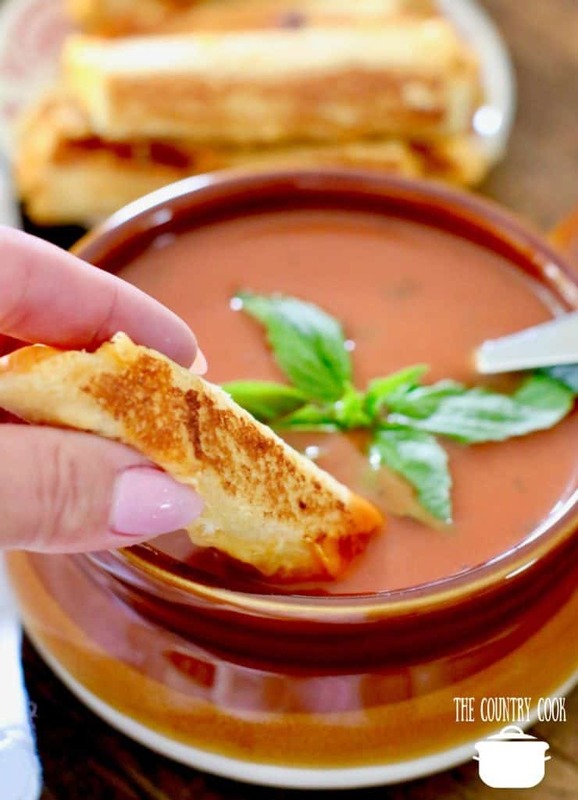 There is nothing like dipping a grilled cheese into some warm tomato soup, right? 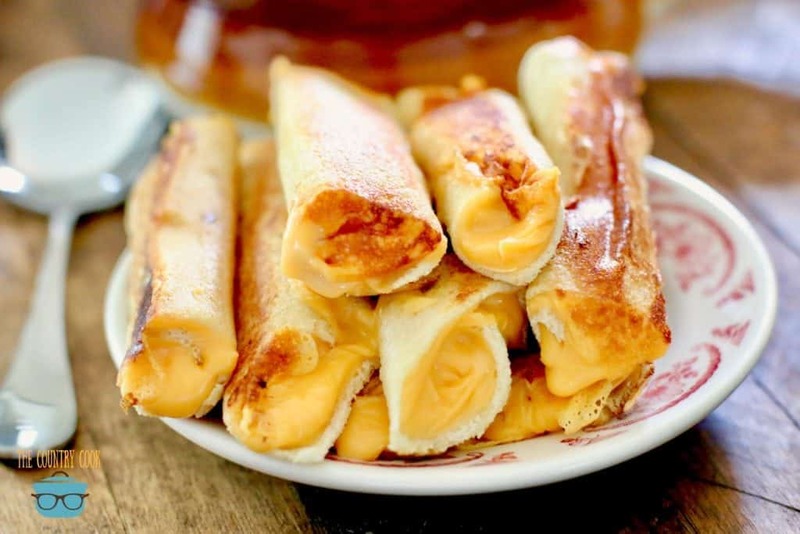 This recipe for Grilled Cheese Dippers was made for just that purpose! I’m also gonna let you in on my secret ingredient for taking grilled cheese sandwiches over the top! 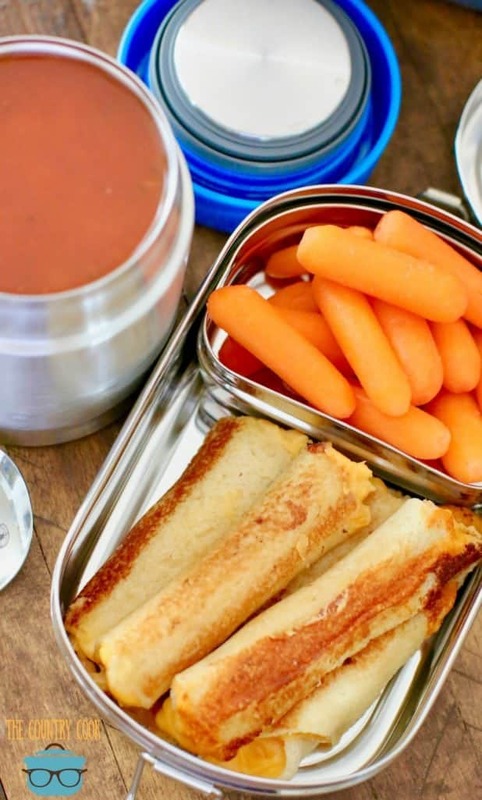 Of course, if your kiddos aren’t fans of tomato soup, you could use any flavor they love. Nothing wrong with dipping grilled cheese into chicken noodle soup either! 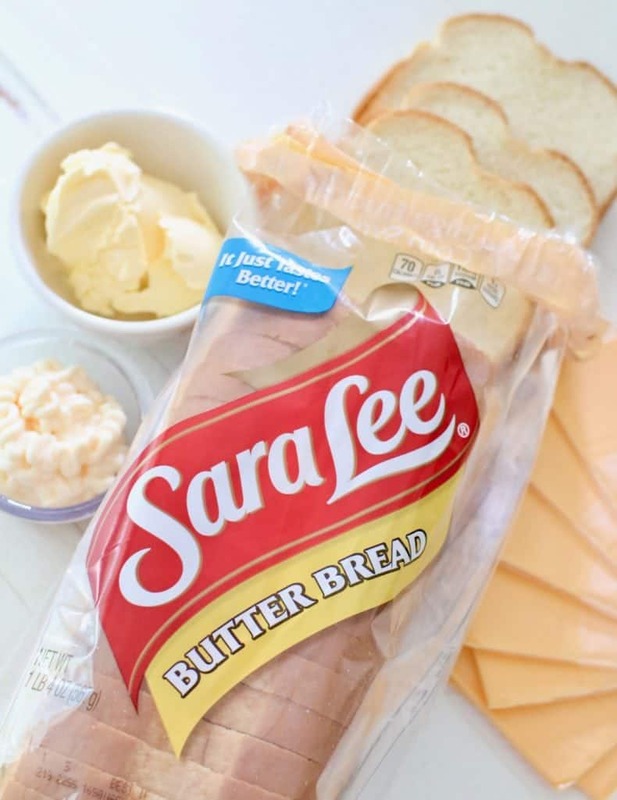 You can pick up a small soup thermos (along with this delicious Sara Lee Butter Bread) at most U.S. grocery stores. An 8 ounce thermos will work perfect for younger kids but my 12 year old eats A LOT so he gets the 16 ounce thermos. 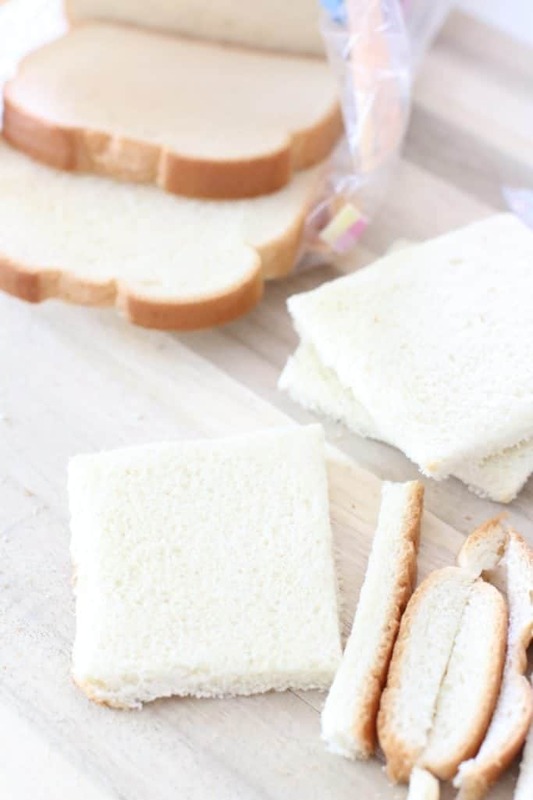 Remove crusts from slices of bread. Please note, this is totally optional. If your kids love the crusts, just skip this part. 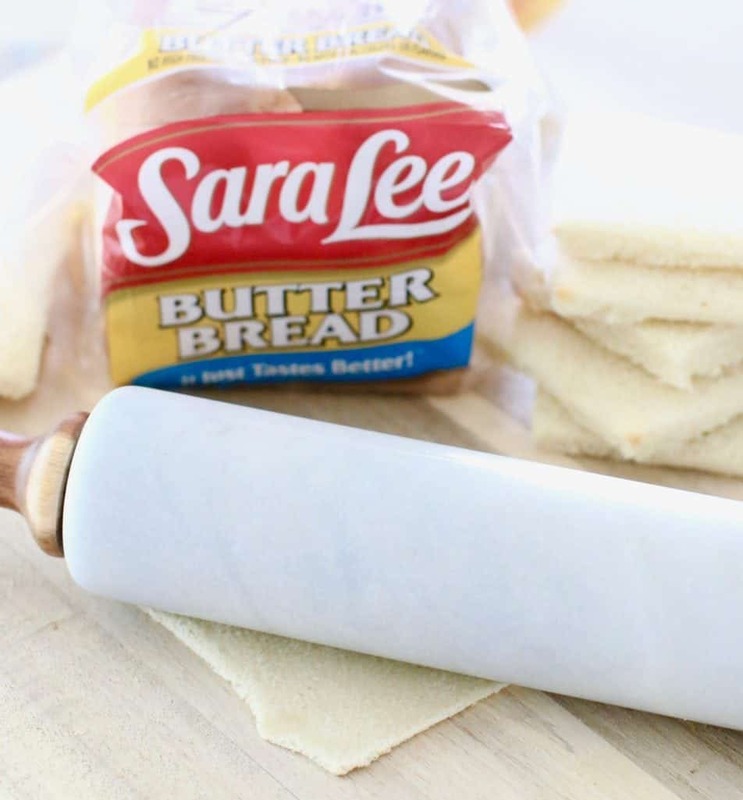 Flatten out each bread slice with a rolling pin or the palms of your hands. Place one American cheese slice on each flattened bread slice. …or roll it up from the long side. Either way works but I prefer the corner roll myself. Continue with the remaining bread and cheese. Next, mixed together the softened butter and mayonnaise. The mayonnaise is not only going to give it amazing flavor but it helps to give it a pretty golden brown color too. 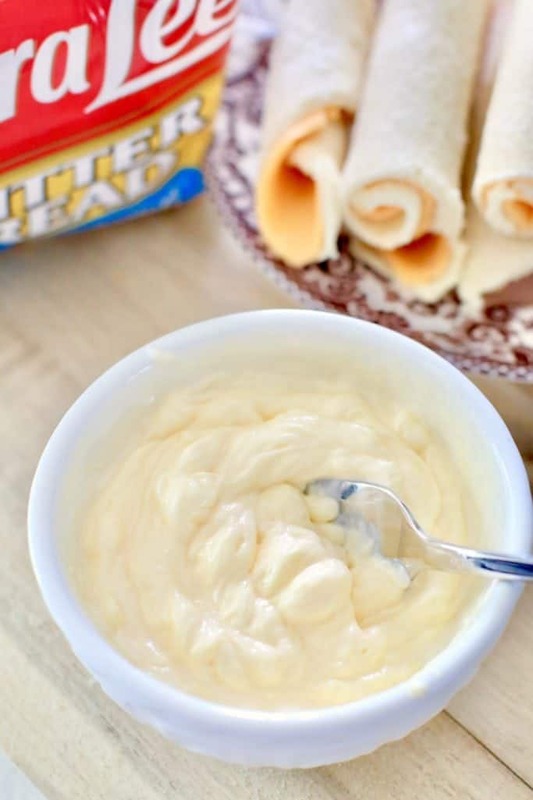 Coat each grilled cheese dipper with this butter mayo mixture. Heat up a non-stick pan over low-medium heat. A nonstick pan is super important here. If any cheese oozes out, it will be easy to wipe up. Also, you never want the pan super hot when making grilled cheese because you don’t want the outside to get brown before the cheese has even had a chance to melt. 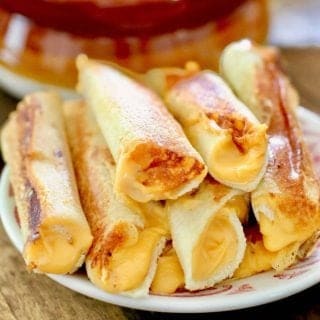 Then, place grilled cheese dippers in a lidded container. No need to reheat these as they will get warm again once they are dipped into the hot soup. Cook’s Notes: Short on time? Just make this as a regular grilled cheese sandwich and slice it into four vertical slices. 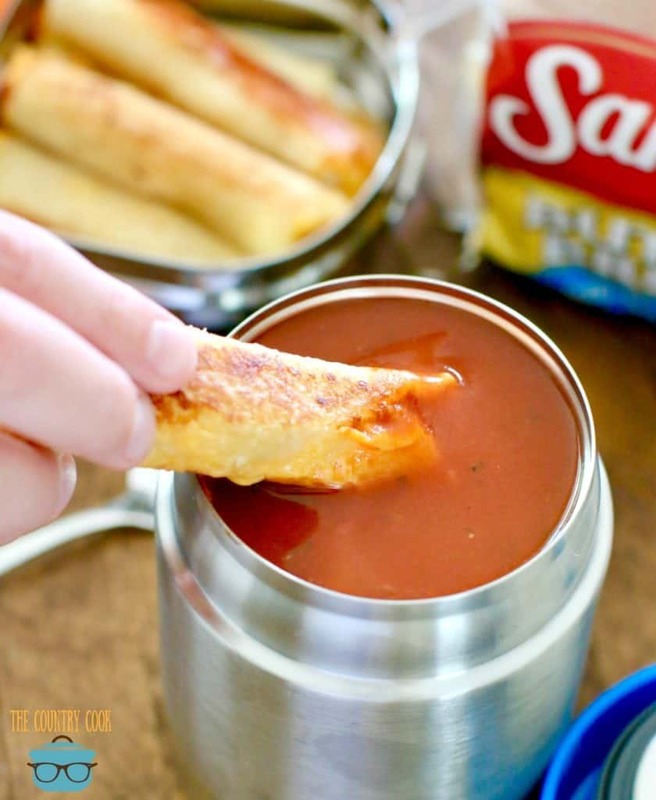 Perfect for dipping and quick to whip up! 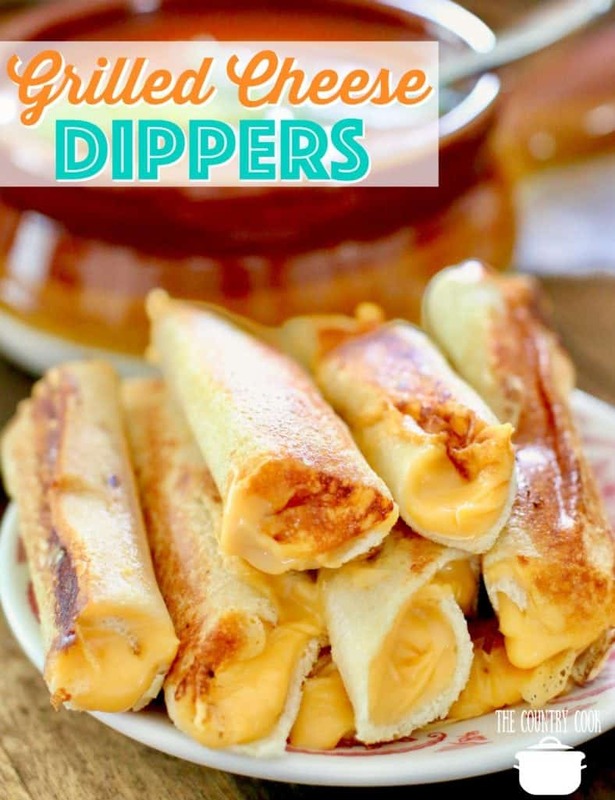 Grilled Cheese Dippers are the perfect sandwich to dip into tomato soup. 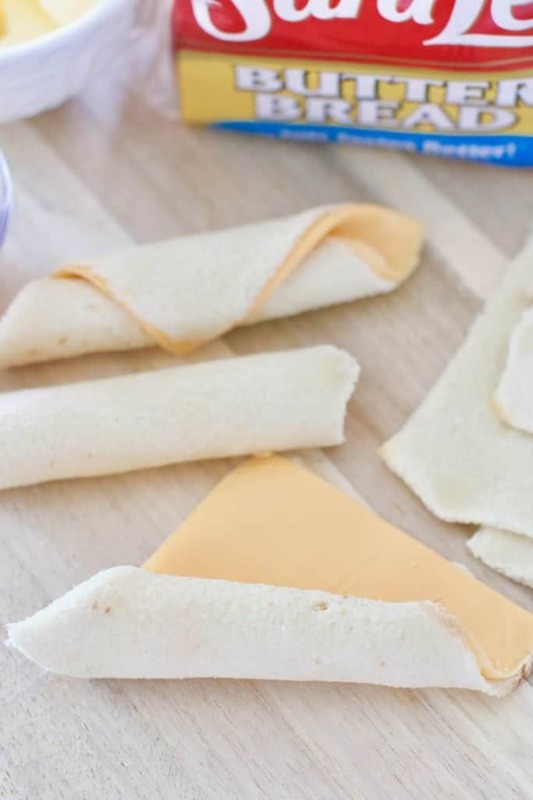 Easy to make grilled cheese rollups are easy and delicious! Perfect for lunch! or roll it up from the long side. Either way works but I prefer the corner roll myself. Continue with the remaining bread and cheese. 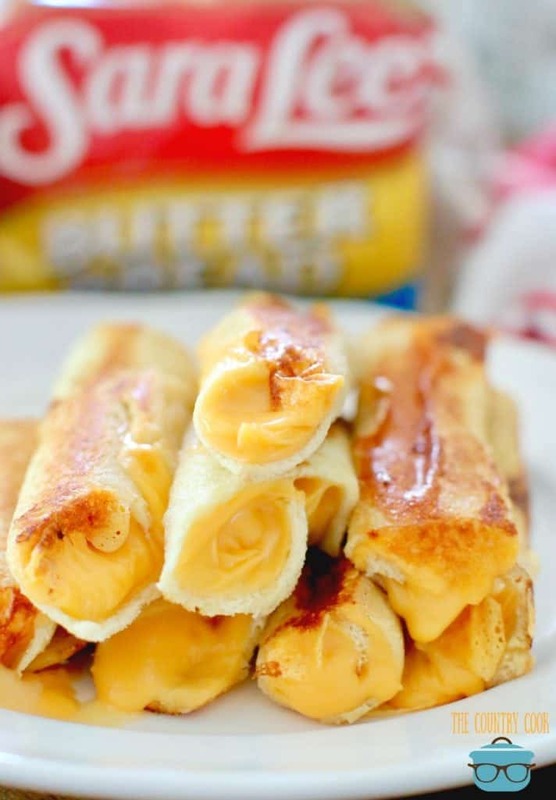 Coat each grilled cheese dipper with this butter mayo mixture. Heat up a non-stick pan over low-medium heat. 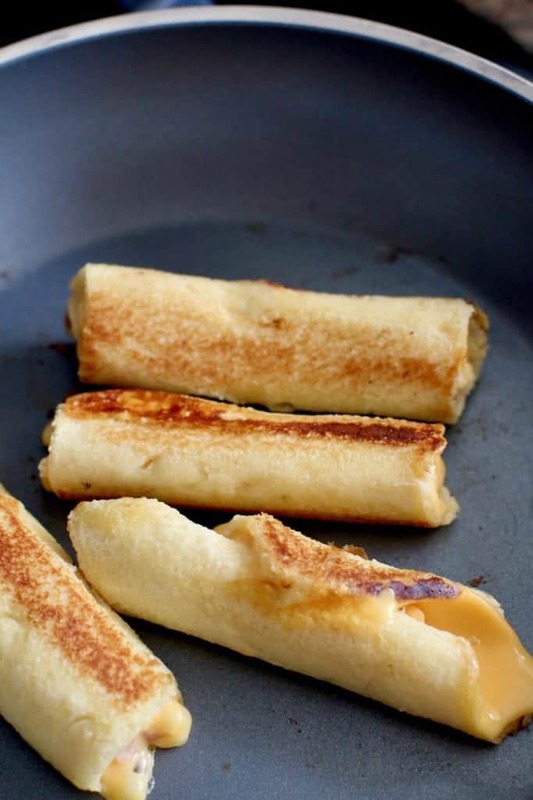 A nonstick pan is super important here. If any cheese oozes out, it will be easy to wipe up. Also, you never want the pan super hot when making grilled cheese because you don't want the outside to get brown before the cheese has even had a chance to melt. Short on time? Just make this as a regular grilled cheese sandwich and slice it into four vertical slices. 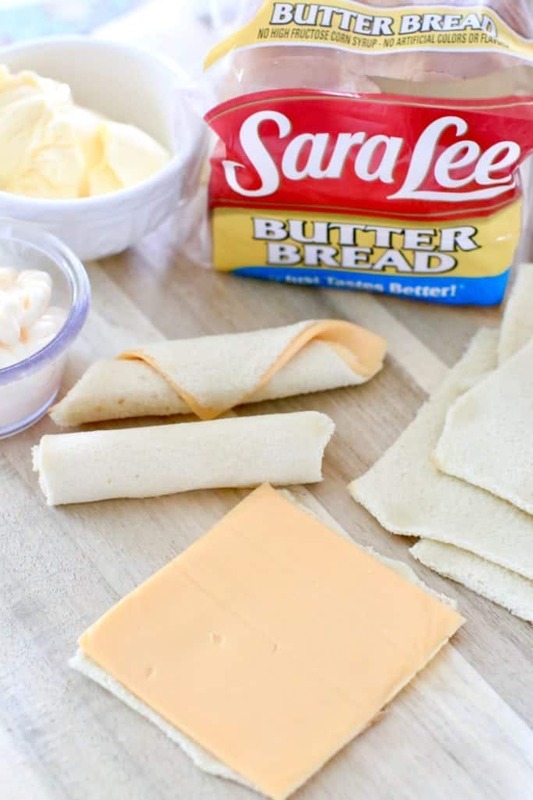 Perfect for dipping and quick to whip up! These look delicious! I can’t wait to try these with my kids. I would think the mayo could ruin. No? Other than that, these sound super awesome. The mayo makes a great crust. Just a thin layer. 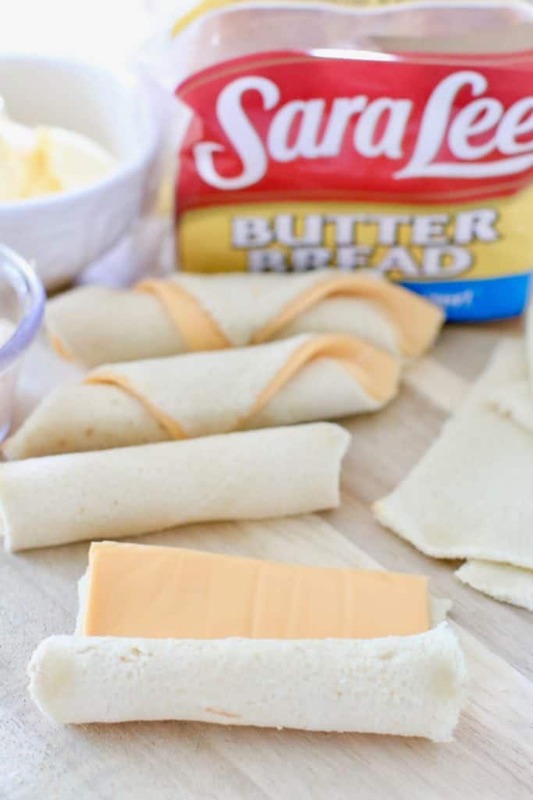 We are totally having these for lunch soon and I can’t wait! Oh you’re such a smartie! LOVE this terrific idea. This is an awesome idea! I can’t wait for a tomato soup day. I think my grandkids would love these too. Thanks for sharing!